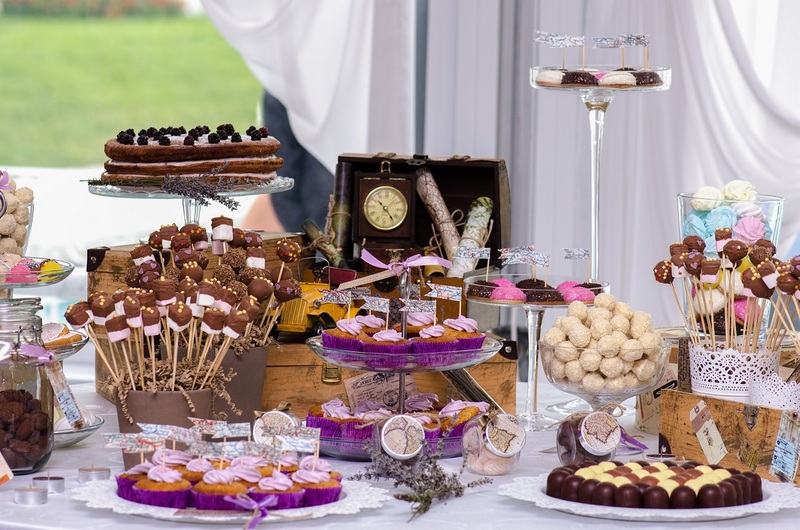 On the day of your wedding everything matters – the dress (of course), the makeup, the groom (let’s not forget he is also a part of the wedding, shall we), the ceremony, the wedding guests, the music, and… the food! The food that’s served at your wedding will inevitably end up in each and every one of your wedding guests’ mind long after the big day is over. Among everybody’s favorite comfort food is pizza. You will hardly find a wedding guest that would mind a slice of pizza on your wedding day (after all, it is a long day full of so many emotions)! Offer your hungry wedding guests an alternative to the traditional pizza by serving cute bite-sized pizzas as a non-traditional wedding snack. This way, they won’t disturb the elegance of your wedding. Besides, you can choose more variations and make it more personal by opting for the favorite pizzas of your wedding party. You can’t get wrong with donuts if you want the result to be happy wedding guests! Yes, it is untraditional, but this is what you want, right? There are so many ways in which you can add this favorite food to your wedding menu and still keep the overall style of your picture perfect wedding. You can opt for donuts that are glazed in the colors of your wedding scheme or even work together with a wedding cake designer to create a masterpiece of a donut wedding cake! Why not? Nobody can resist this traditional food pair from our childhood – milk and cookies. It will look so cute on the wedding menu list that your wedding guests will keep asking themselves, “How come I have never thought about this before?” What’s more, you can add flavors that complement the rest of the sweet delights or even act as a reference to some of the cocktail options! A full day of wedding activities plus an evening spent dancing on the wedding dance floor can really exhaust your wedding guests. Find a creative way to keep their batteries charged by offering some alternatives to famous desserts with the theme coffee all over them. Think espresso brownies, mochaccino lava cakes, frappe frozen popsicles, etc. Nothing will make your wedding guests feel better prepared for the reception than a great selection of wines and cheeses accompanied by grapes, nuts, and figs. You can either serve them as little cocktail bites or keep it simple by letting your wedding guests help themselves on a wine and cheese buffet. For those of them who are not wine and cheese experts, you can always include little information cards next to each cheese’s wheel (best wines to go with it) or simply arrange the best matches together!